Bring the power of an arcade to your home with the Super Retro-Cade plug and play console by Retro-Bit®. Packed with over 90 popular retro games from Capcom®, Data East, Technos, and Irem! The stylish console re-introduces such gems as Mega Man™ 2, BurgerTime®, Joe and Mac™, Bad Dudes™, Double Dragon™, Strider™, Super Dodge Ball, the Final Fight™ series and many more! Take control of the intuitive user interface with two wired 10 ft. controllers compatible with your PC and Mac®. 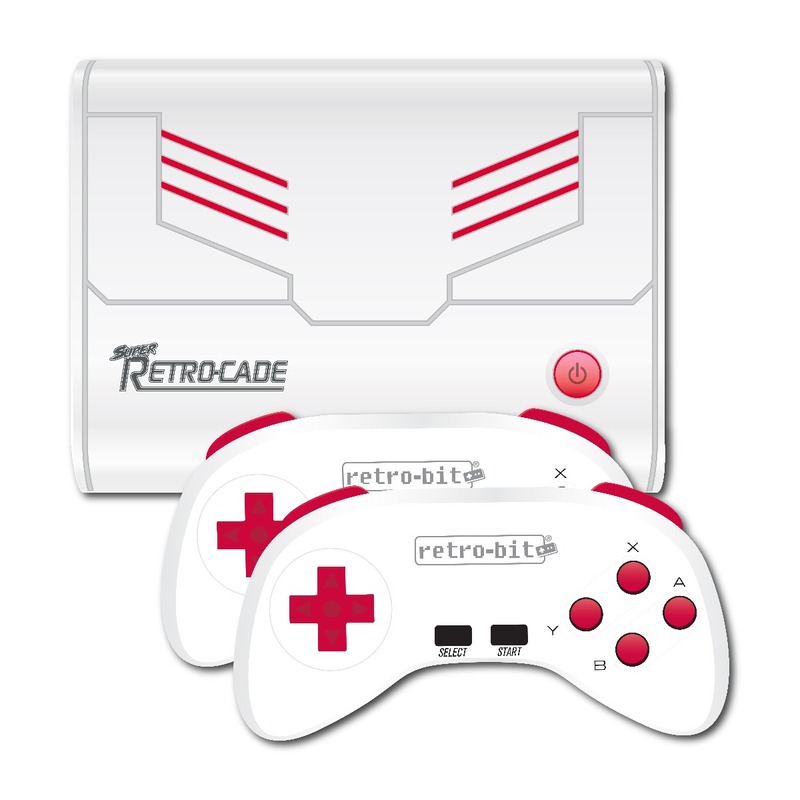 Ditch the quarters and revisit the arcade with Retro-Bit®. Find your games with ease. Browse the entire game library with smart filters allowing you to sort by favorites, genres, platforms, and publishers. Play your favorite 2-player games with the included 10 ft. Super Retro Controllers. The 6 button USB controllers are also compatible with your Mac and PC. Never lose your progress again with internal save states. Pick up the action where you left off with this built-in feature. Want to transfer your progress? The SD card slot allows you even more ways to save.